Let’s say that you are in need of water but do not have any. There are ultimately two ways you can obtain water: forcibly take water from your neighbor or share what your neighbor has to offer. South Africa has done the latter with neighboring Lesotho. The two countries have developed the Lesotho Highlands Water Project, a water transfer scheme on the Senqu/Orange River. 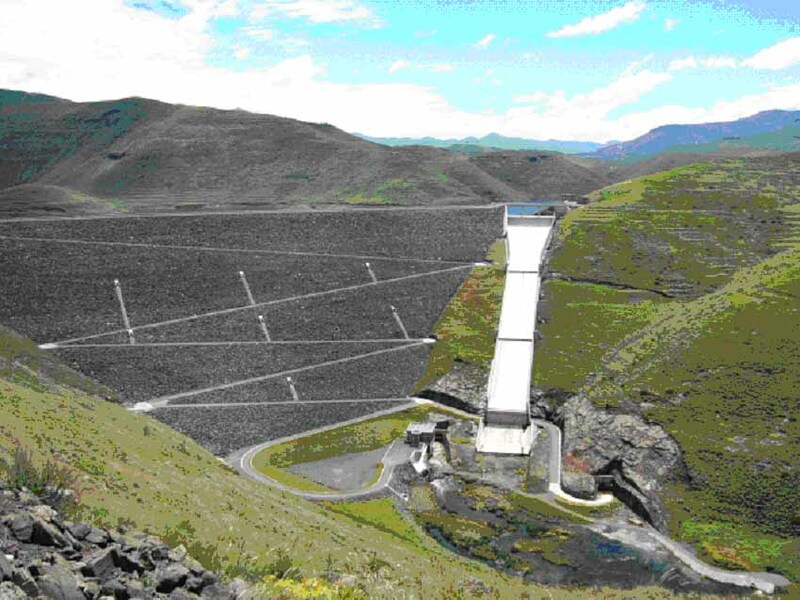 By creating dams and underground delivery tunnels in the highlands of Lesotho, it diverts the southwesterly flow of the river northwards into South Africa. This large-scale project boasts Africa’s highest concrete dam, Kaste Dam, measuring 185 meters. Water delivery started in 1996, and currently provides South Africa with roughly 30m3/sec of water. The usage is for industrial purposes and also as potable water. South Africa is one of the biggest economies on the African continent with high demand of water for industrial growth. Especially since the large cities such as Pretoria and Johannesburg are distantly located from water sources, obtaining a stable supply of water has been a constant issue. Lesotho has also been reaping benefits from the project as well. It is said that Lesotho receives roughly US$5million every year plus a variable royalty revenue for every cubic meter of water transferred from South Africa. This has acted as a highly influential component of export and public revenues for the small mountain kingdom. Water is often expressed as “white gold” in Lesotho for it has spurred much needed economic growth. Lesotho is one of the less developed states on the continent. Being totally engulfed in South Africa has made it harder to become economically independent. In the mountainous region, agriculture is non-productive and the only available resource is water. It had been seeking ways to harness this otherwise “economically wasted” water since its dependence from British colonial annexation in the late 1960s. South Africa did have some other options of water supply other than investing in such an elaborate transboundary transfer scheme. 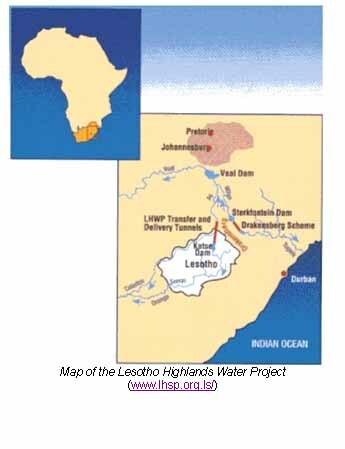 However, storing water in Lesotho for delivery reduces evaporative loss due to its high altitude – an appealing advantage for dry South Africa. The Kaste Dam soars 1993 meters above sea level for this reason. In addition, the Lesotho Highlands Water Project was cheaper compared to another domestic inter-basin transfer scheme. 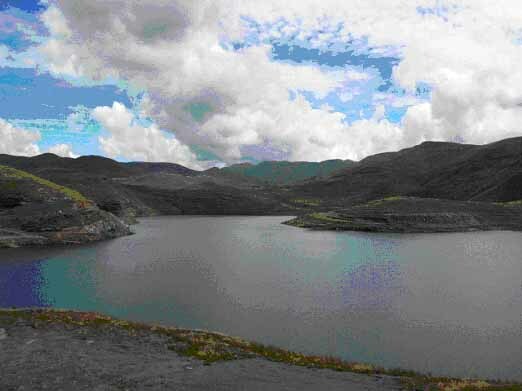 The Lesotho Highlands Water Project was agreed by South Africa and Lesotho in 1986. This was actually a result of negotiations that spanned over three decades. The major stumbling block was that the two were at odds with the apartheid policy. Lesotho feared that South Africa would impose apartheid policy if it committed to joint development. South Africa was discontent with Lesotho’s rebellious attitude. Furthermore, Lesotho created a highly sensitive situation for South Africa by associating with communist Soviet and Cuba during the Cold War era. Despite the political tension between the two countries, the plan of the project persisted. South Africa, being stronger in terms of military and economic power, could have easily forced Lesotho into agreement. It has often been said that water wars will occur as the climate changes, population grows and economies expand. Dams and reservoirs are said to be targets of attacks in such cases. However, just like the case of the Lesotho Highlands Water Project proves, it is highly unlikely that states will go into war over indispensable resources like water. Paradox to the exaggerated assumptions, it is this urgency that prevents states to engage in conflict. Why would you bomb dams when you need them? The Lesotho people have been clever in calling water white gold. They are seeing water not just as H20, a substance for human life, but as an economically valuable good. The emphasis here is on valuable. If we can start perceiving water as something that brings in benefits for those who share, it can be a driver for cooperation. Indeed, the Southern African Development Community (SADC) is trying to promote regional development through the management of international rivers. South African President, Thabo Mbeki stated the following at an inauguration ceremony of one of the dams in the Lesotho Highlands Water Project. Water is white gold for all. It’s up to those sharing the waters to realize in what way they can cooperate molding the white gold into something even more valuable. Note: The research for this article was partly funded by the New Research Initiatives in Humanities and Social Sciences of the Japan Society for the Promotion of Science (JSPS), and by the Core Research for Evolutional Science and Technology (CREST) of the Japan Science and Technology Agency (JST) during her field work in South Africa and Lesotho in February-March 2004.